On Point Legal Leads generates qualified workers compensation leads from prospective claimants who have been hurt while on the job and require legal representation. These types of personal injury case leads are generated from landing pages in which visitors are driven from organic searches or paid online advertising. Claimants submit information specifically related to their legal issue. Once the injured employee clicks the “submit” button – demonstrating their intent to speak to an attorney – that information is sent to you immediately. Below are answers to common questions law firms ask when inquiring about personal injury and workers compensation lead generation. What Are Workers Compensation Leads? Workers comp leads are inquiries from prospective claimants who have been physically injured during employment. These workers pursue a worker’s compensation claim to obtain lost wages, medical attention, and medical benefits. These claims are insurance-based and provides compulsory estoppel for a negligence claim against the employer. 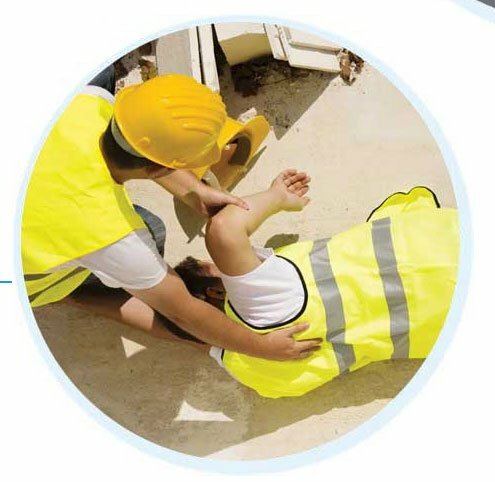 Injuries related to workplace accidents include back, spine, construction-related, and more. Workplace incidents cause an enormous amount of physical, financial and emotional hardship for individual workers and their families. Combined with insufficient workers’ compensation benefits and inadequate medical insurance, workplace injuries and illnesses can not only cause physical pain and suffering but also loss of employment and wages, burdensome debt, inability to maintain a previous standard of living, loss of home ownership and even bankruptcy. When implemented effectively, injury and illness prevention programs can help workers and their families avoid these disruptive and sometimes calamitous impacts on their lives. What is a Qualified Workers Compensation Lead? Some forms request information regarding the type of injury, number of employees at the company, whether the employer is a government entity, and whether a claim form has been filed. All landing pages and web forms are 100% TCPA compliant and exclusive, meaning we do not sell the same one to multiple buyers. Most law firms request delivery 24/7 to capture more leads. Yet, we can customize days and hours at your request. Delivery methods typically are sent via email (most popular), SMS/text, post, or repost. What Sources Does Your Firm Use To Generate Workers Comp Leads? These types of personal injury case leads are generated from landing pages in which visitors are driven from organic searches or paid online advertising. Claimants who land on the page can submit information specifically related to their legal issue. Claimants seeking legal representation after an injury while on the job often seek help by going online to search for an attorney. And that’s where we excel. We generate quality workers comp leads for lawyers! 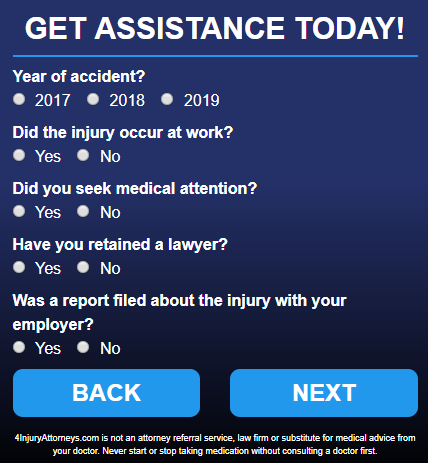 Once the injured employee has completed the form, they can click the “submit” button with the intent that an attorney review and evaluate their claim. Due to the fact that these types of personal injury leads are primarily state-based rather than federal-based, successful direct response marketing can be generated from the Internet. These are typically referred to as web form-filled submissions. Thanks to the fact that we geo-target where we drive traffic, claimants are able to be connected with attorneys in their city and state. Naturally, this allows for higher conversion due to the general preference of claimants interested in obtaining counsel within their geographic region. In fact, it is common across virtually all verticals to see a higher conversion rate when the buyer and seller of products and services are regionally similar. Ultimately, attorneys seeking leads from workers comp claims have the most success from those generated within their state. Injuries at the workplace are becoming more frequent. So, if your law firm is interested in increasing your intake in workers compensation leads, contact us today to discuss how we can help! We generate all types of personal injury leads for sale, including workers comp, car accident, and mass tort leads. Contact us today for more information. How Can Workers Compensation Claim Leads For Attorneys Grow Our Law Firm? According to the United States Department of Labor and Occupational Safety and Hazard Administration’s data, over 4,500 people die from work related accidents, injury, and illness. In addition, over 4.1 million individuals suffer from on-the-job injury and illness annually. Clearly, those are big numbers and someone has to assist these laborers with their rights. We generate personal injury leads for attorneys, including claims associated with job-related accidents. Below are some of figures regarding monetary and medical compensation for claimants. In 2013, monetary payments generated by workers’ compensation from insurance programs hit almost $64 billion. This is close to 1% more compared to 2012. In 2013, $31.5 billion was payed towards medical benefits. In 2013, employer’s cost for providing injury and illness coverage was about $1.37 of every $100. Workers compensation claims are associated with a form of social insurance that started in the United States in 1908. Back then, the federal government was protecting its civilian job force from hazardous work. Today, all states and the District of Columbia offer benefits to its residents, with the federal government providing its own program. This type of insurance is designed to assist employees who become injured or sick due to job-related issues. Benefits are in the form of medical care and monetary compensation. Further, survivor benefits can be obtained for dependents may also file a claim. However, there is a catch. Employees who sign up for the social insurance program are precluded from filing a tort claim against their employer. What Type Of Disability Benefits Are Associated With Workers Comp Claims? Job-related accident injury claims that are based in employment law typically require assistance from a personal injury lawyer. In 2013, approximately 130 million individuals were covered under injury and illness prevention programs; personal injury attorneys have been helpful with many of those claims. Notably, the private sector has mandatory coverage in every state other than Texas. 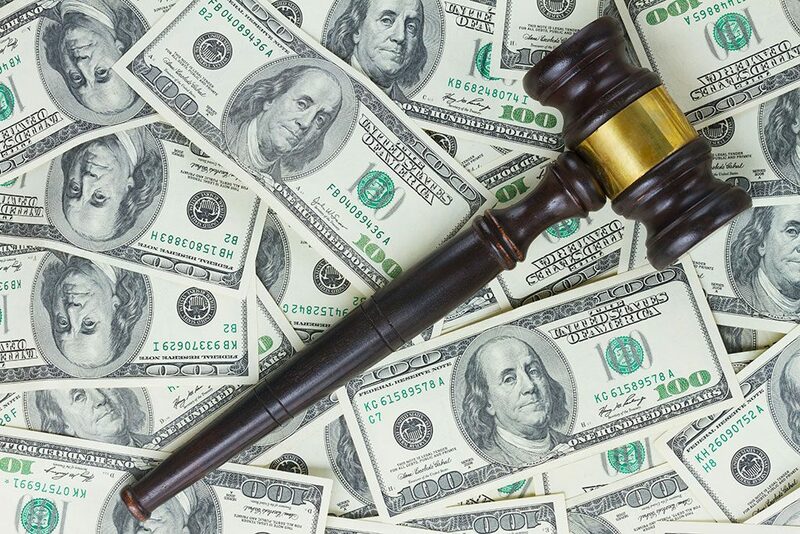 Significantly, those employers who elect not to take advantage of workers’ compensation insurance programs are liable for tort suits filed and adjudicated against them. These type of social insurance programs provide compensation for 100% of work-related injuries in the event an employee loses approximately 5 days’ worth of work. Dependents may obtain monetary compensation, including lump-sum payments and funeral costs, in the event of a fatal on-the-job accident. Monetary compensation is based upon the length of time the injury keeps the employee from workingand the magnitude of the harm incurred. Notably, about 75% of individuals receive medical benefits. There are limits to the amount of time a person can maintain eligible to receive benefits. 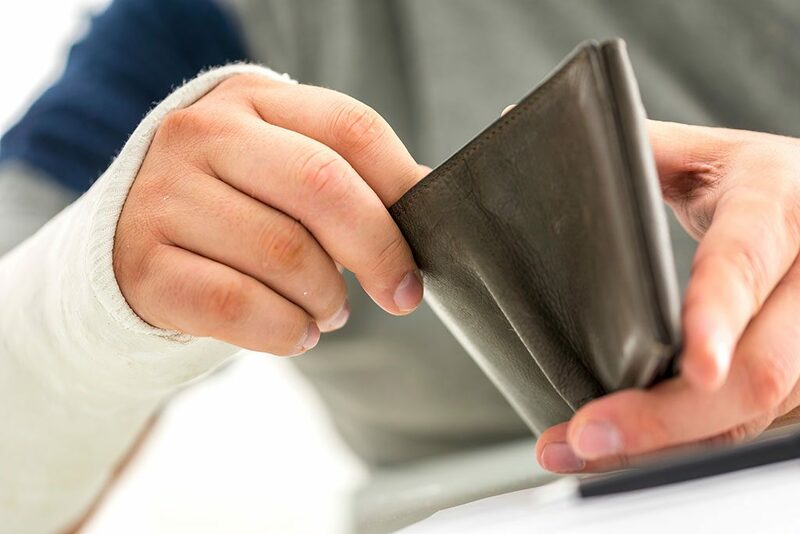 Temporary Total Disability: When a laborer’s injury temporarily precludes him or her from working, monetary compensation typically is provided for the amount of time out the claimant is unable to perform the job. This is the situation with most workers comp claims, as most people are able to return to work. Once the laborer is back, benefits stop. Generally, benefits equate to two-thirds of the person’s wage prior to the injury, and is paid on a weekly basis. There is a maximum that each state has in order to limit compensation amounts. Temporary Partial Disability: When a laborer’s injury causes work displacement, but he or she is able to return with lower responsibilities and a corresponding lower wage, temporary partial disability could be the type of benefit provide. Permanent Total Disability: In the event a person can no longer work due to a more extensiveor long term work-related injury, permanent total disability may apply. These types of benefits are far less common. Permanent Partial Disability:This is also called Percentage of Permanent Partial, or C-92. When a laborer is injured, but can still pursue limited work activities, permanent partial disability benefits may apply. Each state has laws that vary between them. Some states limit benefits upon the worker achieving maximum medical levels, while other states extend the benefits all the way up to the workers return to employment. When monetary compensation is included, time and total dollar restrictions may apply. Medical Benefits: When a laborer loses less than 8 days (no more than 3-7 days), medical benefits typically are only type that can be offered. Although this type of benefit is the most common, it also represents the least amount of payments provided. Living Maintenance Compensation: Often, a laborer is forced to undergo rehabilitation for a limited time his or her injuries. In this event, compensation in the form of medical and monetary benefits may be provided. It is typically available for up to six months; however, sometimes benefits may last longer. We generate our workers compensation personal injury leads from landing pages and click-to-call campaigns. Visitors are driven to landing pages where they submit their information about a work-related injury he or she suffered. Regarding these on-the-job, injury-based case leads, we generate them via pay per click advertising. After obtaining general biographical and geographical data, each lead is required to pass specific filters. Initial data includes full name, address, email address, and valid phone number (which must be accurate to be a qualified lead). Specific workers compensation related filters include the date of injury, type of claim, whether the claimant was out of work for at least 5 days, whether the claimant has hired an attorney, and a section for comments. Our attorney leads are not shared with other firms, are not reprocessed or recycled, not based upon surveys, and not based upon an incentive-based marketing campaign. All legal leads are forwarded to the attorney’s designated email address and/or cell phone. Thus, within a fraction of a second the data submitted is expected to be delivered. Good question. Our agreements are based upon quantity, and the objective is to fulfill all orders within 30 days. We do not have term-length agreements, which means we earn your business with every individual order! Thus, there is no automatic billing at the outset; however, many firms prefer to have automatic invoicing in order to prevent any delay in lead flow, which we can provide upon request. In addition, we honor an exchange-for-credit return policy for unqualified leads, which are those that have inaccurate contact information, spam, did not request legal services, and other factors that may vary depending upon the lead type (for example, not having an injury). Q: What is the minimum order size for workers comp leads? In most cases, we have a 15-order minimum. Our primary goal is to fulfill your lead generation campaign within 30 days. Once your account is funded, we will provide you with your start date and you can expect arrival to begin within approximately 3-5 days. Our intent is to provide premium quality leads. Q: Do you offer live transfer workers comp leads? Yes, we certainly do provide live transfer leads for workers compensation. A live transfer is when a prospective injured client is transferred by phone to your office after being screened by a live agent. The individual may have reached the call center after seeing an ad and performing a click to call or after submitting their data from a landing page. The latter instance requires a live agent to make an outbound call and confirm the individual’s interest in obtaining representation by an attorney. Please contact us for details on these call center-based case leads. Regarding validity of the lead, first we provide the IP address from the user. And, we see open rates above industry average for our remarketing email campaigns. Additionally, the prospective claimant is required to provide answers to inquiries pursuant to the filters. We request that all leads determined to be inaccurate or invalid be submitted through our lead distribution management portal. Every client has access to the portal with their own panel that allows management of workers comp leads. Generally, credits for replacement leads require submission through client’s panel within five (5) to seven (7) days following receipt of the lead. 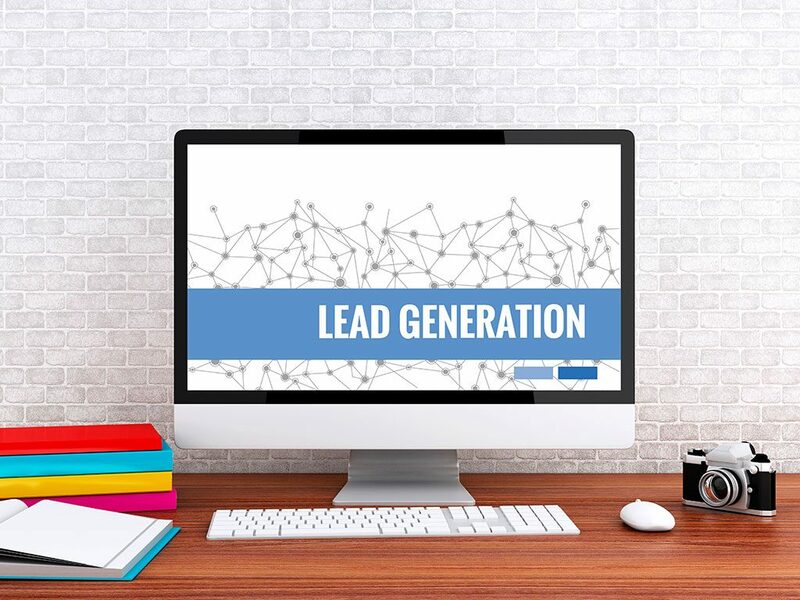 Our leads are exclusive to the purchasing attorney or law firm, and are never shared, unlike other attorney lead generation services. This assists in client retention rates as well as cost per conversion costs by preventing the requirement of instant-response intake systems. However, this will not prevent the prospect from considering other options. Thus, a reply communication inside of 5 minutes is standard across all fields, legal and otherwise. Significantly, we suggest contacting case leads as soon as possible. To assist with increasing contact and retention rates, we recommend utilizing our built-in email and text auto-response service incorporated within the lead distribution management portal. Regarding form-filled submission from landing pages, once a claimant submits their data it goes directly to our portal within a fraction of a second. Immediately after, we send the data to the assigned attorney email address(es) and cell phone(s). Regarding live transfer campaigns, the lead is sent “live” to the call center or legal intake center. Q: Do you provide streamlined automated marketing? Great question. Automated marketing is becoming a must-have in the lead generation business. If you intend on competing with other law firms, then you will want to take advantage of our proprietary automated marketing portal. #1: Our portal sends an automated and customized email message from your firm to the prospective claimant immediately after they click the Submit button on the landing page. These are professional emails branded with your firm’s logo, contact info, images, awards, map, and links from your firm. #2: We send a custom automated text message from your firm that includes your link and phone number. Studies have sown 95% of texts will be read within 3 minutes of being sent, with the average response time for a text being only 90 seconds. #3: We initiate an automated email drip campaign by sending 4 more follow up emails from our built-in email marketing software. This streamlines your intake process and relieves some burden from your staff. For any other questions, please contact us or visit our Workers Compensation Leads FAQs page. Overexertion:According to National Safety Council information, overexertion occurs when a non-impact injury, such as lifting, pushing, pulling, pulling, or turning, results from a non-impact incidence. The actual injury cause typically is a strain or sprain associated with the back, shoulder, and knees. This is the most frequent type of claim, and is most common in construction jobs, factory jobs, and police officers. Significantly, more than half of this type of injury claim is back-related, followed by the shoulder. Lifting is the most common cause, followed by holding and carrying, then pulling and pushing. These injuries also occur mostly during the first half of the day, are more common with males between ages 35 and 44. Businesses have lost over $15 billion due to overexertion by employees. Slips, Trips, and Falls: According to National Safety Council literature, slips, trips and falls were the third leading cause of deaths in 2014 in general. That should give an idea as to the magnitude these incidents have when dealing with workers comp. Common causes include irregular surface areas, contaminants or liquid on the floor, hazardous weather conditions such as snow and ice, inadequate lighting, missing, broken, or inadequate handrails, clutter, and floor mats. Common types of workers who are inflicted with associated injuries include store clerks, groundskeepers, restaurant workers, and health care employees. Falling to a Lower Level:According to Liberty Mutual Group data,workers who fell from a ladder, roof, flight of stairs, dock, platform, or other multi-level surface, set business back $5.4 billion in 2013. These injuries are classified as an accident in which the laborer hits and object or surface below the area where the work was engaged. Bodily Reaction: These types of injuries are similar to overexertion and falling. According to U.S. Workers Comp, it is defined as “the way your body responds or reacts to an external influence or medication” and is a result of “some antecedent or stimulus.” Examples include touching or being exposed to a chemical or an object, and the body could trip, fall, burn, or otherwise cause a reaction that causes injury. Although these types of injuries can occur with many job descriptions, they are most common in the health care industry and police officers. Struck by Object:When a worker is impacted by an object, such as when an object falls from a shelf or another worker drops the object, a claim can be made if an on-the-job injury is incurred. Construction workers, office workers, restaurant servers, and retail sales representatives are all exposed to falling or dropped objects. Struck Against an Object:Not to be confused with being struck by an object, this is more likely to be the case if a larger object that is moving becomes uncontrolled or is not foreseen. Factory workers, construction workers, and office employees can be victims of harmful injury in the workplace when safety precautions are not yielded. Roadway Accident:Traffic accidents can cause serious harm, and when at the workplace, the cause is often due to speeding, distraction, or driver impairment. In 2015, 745 fatalities were associated with heavy and tractor-trailer truck drivers, which is the most among all occupations. The good news about workplace fatalities due to highway accidents is that it has declined. Police officers and traveling sales representatives are common claimants for this claim type.Incidents on roadways have caused businesses over $2 billion annually. Machinery Accidents:Industrial laborers, factory workers, and construction workers are the most common job titles of individuals who frequently make claims here.And, the magnitude of the injury is often the worse. Cases where heavy equipment and machinery are involved are typical. Often, a lost limb is the result of a breakdown in safety and maintenance, or repetitive work over long hours. Because of this, some states have strict safety guidelines that include equipment training and maintenance requirements. Repetitive Motion: When a laborer engages in repetitive procedures in a non-stimulating environment, bad things can happen. However, these types of injuries wherein fault is attached to the employer can be hard to prove. Types of harm include carpel tunnel syndrome from excessive and continuous typing or use of a mouse; bursitis from working at an assembly line, and; tendonitis from repetitive lifting. Workplace Violence:According to the Department of Labor, close to 2 million workers report they’ve been a victim of workplace violence. This type of workers comp claim arises when “any act or threat of physical violence, harassment, intimidation, or other threatening disruptive behavior that occurs at the work site. If your law firm is interested in exclusive, real-time, and premium quality workers’ compensation leads, contact us today. We can also assist with your website page and position rankings by dramatically improving your attorney SEO and legal SEO website scores.